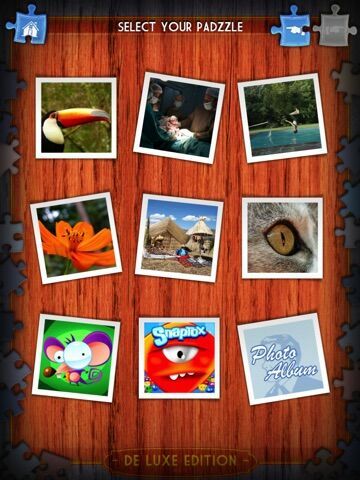 Padzzle auto-saves your last moves on all your own photos. 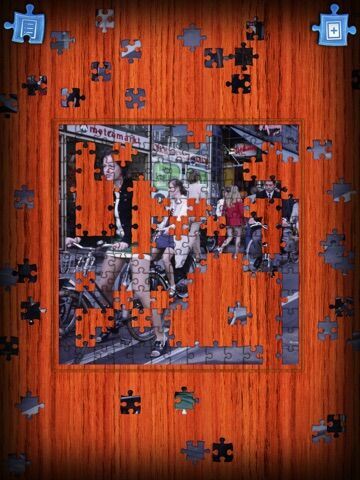 Every time you re-open a previous photo from your own library, Padzzle remembers that photo, and the way pieces where arranged on every piece size and rotation preference. Create your own Padzzles adding personal photos from your photo album and take Padzzle to a whole new level! Choose from over 40 stunning HD pictures and enjoy the best quality Padzzle in the universe! Save completed Padzzles, use them as iPad wallpaper or share with friends. Experience the most realistic Padzzle for iPad by increasing the number of pieces or take it to the limit by enabling full piece rotation. 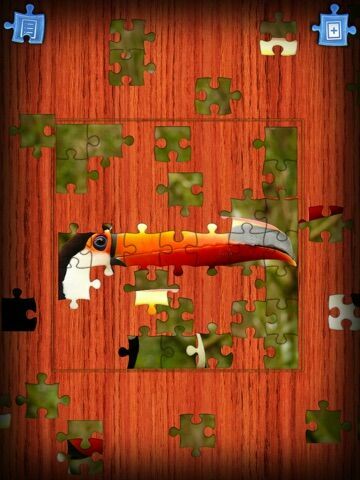 Do you enjoy spending hours solving puzzles? Does the challenge give you a thrill? Stretch your mind and develop new skills with a life long favorite! 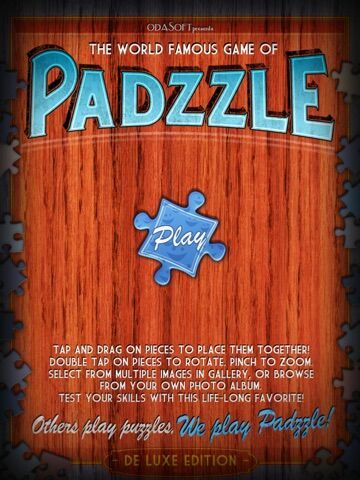 Padzzle has arrived and will change your puzzling experience forever. 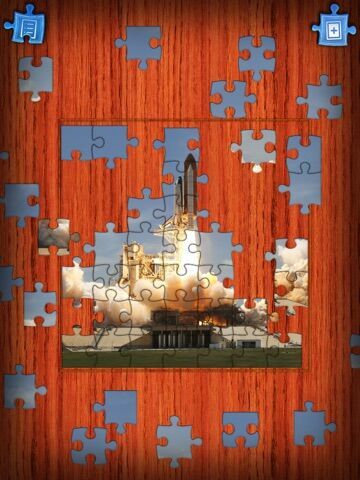 Play Padzzle for iPad and increase your brain power! Let others play puzzles...We play Padzzle!